Are you hosting a holiday this weekend? Either Passover or Easter? 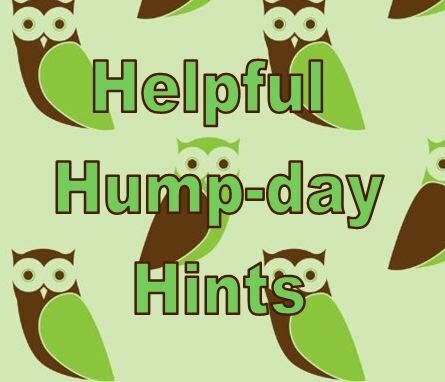 I have themed these Helpful Hump-day Hints to get you started as you prepare for guests and your holiday meal. 1. Clean your wine glasses. 2. Launder, iron, and put your holiday tablecloth on the table. 3. Cross reference your recipes / menu with what you have in the cabinets and make your grocery list. I suggest shopping after work on Thursday. 4. Vacuum the high traffic areas. 5. Get out the pledge and dust your furniture – especially where guests will be. 6. Make sure you have clean guest towels and soaps ready for the bathroom. #1 – #3 require a little more time. You will most likely have to tackle those after work in the evening, unless you are a really early riser. #4 – #6 could be accomplished in the morning before you leave for work. Only have time for 2 or 3? Or even just 1? It’s OK – whatever you accomplish is still a jump start on your weekend. Not hosting a holiday dinner? Perhaps get your ideas together and prepare whatever you are bringing to your host/hostess. Need ideas for a great hostess gift? Check out les petits presents, one of my favorite blogs! Even if you aren’t having guests in – vacuuming and dusting is still helpful. Did you do a task or chore today? Reward yourself – this time of year you probably have candy around the house – indulge in a piece! How are you organizing/preparing for the weekend? Leave a comment and let me know. Hoping to reach my 100th comment and get to give this prize soon!